Nancy Sutton-Moss has been involved with the Lincoln Marathon for over 40 years and has been the race director for the last 35 years! For several of those years, Nancy worked full time as a teacher and raised her family in addition to being the marathon race director. Nancy is one a very few remaining volunteer marathon race directors in the country. Most events that are the size of the Lincoln Marathon have a paid race director and paid staff. Not the Lincoln Marathon. And Nancy would not have it any other way. It is obvious to anyone who has ever met her that she loves what she does, and her passion for the event has helped it grow into one of the premier running events in the Midwest. Under Nancy’s leadership, the event has grown to over 13,500 participants, and registrations have sold out every year for the last 10 years. Nancy listens to the runners and volunteers and incorporates their suggestions into the event—cups with lids and straws at the aid stations; a free pasta meal on Saturday and a free post-race lunch on Sunday; adding pacers for both the full and half marathon; implementing the use of technology for live tracking of runners; adding a women’s style shirt for the female participants; various types of apparel for purchase at the expo; expanding the expo from one to two days; and finishing on the 50-yard line of Memorial Stadium. Additionally, Nancy has established and maintained long-term relationships with several sponsors to include Pepsi, Aquafina, American Ethanol, the National Guard, the City of Lincoln, and the University of Nebraska. The Lincoln Marathon was the first event in the nation to use the new MyLaps event app as well as the new MyLaps photo and video platform. Nancy recruits volunteers to assist with various aspects of the event, gives them guidance, direction, resources, and support to successfully carry out their duties. On the Saturday morning before the Marathon, one of the busiest days for a race director, you will find Nancy at the Mayor’s Run, one of the largest children’s only events in the nation, encouraging the young runners as they make their way around the Capitol for the first lap, then handing out refreshments at the finish line and congratulating them on completing the race, calling most out by name. The next day, she is at the finish line for the Marathon and Half Marathon handing out water and medals and congratulating the runners as they finish. Nancy is in charge of the finish line volunteers at all of the Lincoln Track Club events. When Nancy puts out a call for a volunteer, no one can say no to her. Not out of fear but out of respect for what she has done for the local running community and the hundreds of thousands of hours she has devoted to the Lincoln Marathon. For several years, pre-race packet stuffing took place at the home of Nancy and her husband, Glen Moss. Sometimes it took several nights to prepare and stuff all of the packets, and there were upwards of 40 people each night, with Nancy giving directions to ensure everything was done for the benefit of the runners and volunteers. Once the event exceeded 2000 runners, packet stuffing was moved to the National Guard Armory, but Nancy still makes sure that no detail is overlooked. 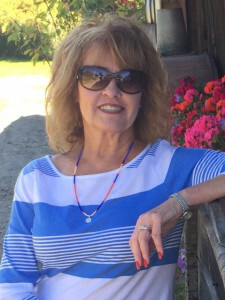 As a former Lincoln Public Schools teacher, Nancy taught many of the local runners and mentored several more as they volunteered at Lincoln Track Club events. Nancy has made the Lincoln Marathon one of premier running events in the Midwest and deserves to be in the Omaha Running Club Hall of Fame.